How do you connect with your readers? Email newsletters? Text messaging? In-person gatherings? How about all of the above? That’s the approach Education NC, a North Carolina-based nonprofit site covering education takes to its engagement strategy. The site has developed a program called Reach NC Voices, which is designed to foster conversations around education policy. The site has also worked with a local civic tech organization to build the underlying technology as well as an analytics dashboard that enables it to track loyalty. This week in Solution Set, we’re going to dig into Reach NC Voices to better understand how EdNC thinks about engagement, how it’s reaching readers both in-person and online, as well as how it tracks loyalty. • The Challenge: EdNC wanted to find a more strategic way to engage in conversations with readers across North Carolina. • The Strategy: The site developed Reach NC Voices, a project and tech platform that allows the site to communicate across multiple platforms while measuring loyalty. • The Numbers: About 4,000 people get text messages each week from Reach NC Voices asking a survey question. • The Lessons: EdNC has put listening at the heart of its work and it also realized that it needs different approaches to reach different audiences. • Want to know more? : Scroll down to read a toolkit EdNC produced that outlines its engagement strategy in more detail. • Anything to add? : A reader shares details of their local podcast based on an issue we published a few months ago. Founded in 2014, EducationNC is a nonprofit news site that, as its name suggests, covers education policy in North Carolina. From the start, the site developed what it calls an Architecture of Participation, which defines and outlines its audience engagement strategies by focusing on ways that the EdNC can encourage North Carolina residents to focus their energies and attention on public policy issues. In the site’s early days, this meant focusing on publishing first-person narratives and using social media platforms to find audiences and start conversations. But North Carolina is a big state, and by 2016 it decided it wanted to take a more systematic approach to try and have conversations with folks across the state, EdNC chief growth officer Nation Hahn told me. It wanted to create what it calls a hub-and-spoke system that puts readers at the center of its journalism. To implement this strategy, EdNC developed Reach NC Voices, a platform and initiative designed to bring the public into the reporting process while engaging in conversation. To build the suite of tools it wanted for this initiative, EdNC began working with Public Input, a civic tech company, to build out a suite of tools. Public Input primarily focuses on building tools for government agencies to connect with their communities, but together with EdNC built a journalism-focused version of the platform that is based on Public Input’s existing tools. “Building code from scratch was going to be prohibitive for us,” he said. The two groups co-designed and co-own the code for the platform. The platform launched in January 2017 and supports different types of communications such as SMS text messaging, email newsletters, and surveys. These functions are designed to help readers inform EdNC’s coverage and also ensure that their voices are heard by policymakers. It is effectively an engagement CRM, or customer relationship management software. Using the tool, EdNC is able to follow how readers engage with the coverage across different mediums. Analisa Sorrells, EdNC’s associate director of policy and engagement, shared an example of how the site uses Reach NC Voices to cover a particular issue. In this case, from last year, EdNC was covering chronic absenteeism in schools. Reach NC Voices put out a statewide survey asking readers about their experiences and what they wanted to learn more about the topic. It distributed the survey on its website and through other platforms. However, it also focused its efforts on one rural area of the state, Edgecombe County, in eastern North Carolina. EdNC held two community dinners in Tarboro, the county seat, with students, educators, and families. It asked attendees to share reasons why they missed school. EdNC staffers also partnered with principals from schools in the area to canvass neighborhoods to discuss the issue. The principals wanted to introduce themselves to families in the lead up to the new school year, and EdNC journalists were able to use it as a reporting opportunity. “That was the most meaningful part to me because people were so willing to welcome us into their homes and have honest conversations with us about that issue in the community,” Sorrells said. Once it completed the surveys, Reach NC Voices then emailed some of the key answers back to its readers as part of its Reach Roundup newsletter. The site then turned all of that research and conversation into a weeklong series of stories covering chronic absenteeism. It then shared that coverage back with its readers, and asked them for their comments and thoughts. This series was the first time that EdNC brought all these pieces together for one story, but Sorrells said the site will use different pieces of the strategy — whether it be in-person events, canvassing, surveying, or something else — depending on the story. In addition to thinking about how it can connect with communities, EdNC has spent quite a bit of time thinking about how it can measure its work and how it’s building loyalty with readers. That’s why the site last year started to build an engagement dashboard that allows it to track reader how readers are accessing coverage across mediums and also define how loyal they are. EdNC actually hired a data scientist to lead the effort. That staffer, Bryan Noreen, joined the site from Public Insight, the civic tech firm that works closely with the EdNC. He had been helping out on some user research and ultimately stayed on. The analytics tool tracks how readers interact with EdNC’s coverage on various platforms, including its website, text messages, and email newsletters. The information is then presented to the staff in the form of a funnel, which shows how readers are moving toward becoming loyal readers. Actions — such as reading an article, opening an email, and responding to a survey — are assigned point values. And as readers reach certain point totals, they move down the funnel. Readers who reach 10 points for two consecutive months are considered loyal. EdNC is then able to assess what is driving loyalty and use that information to inform its editorial decisions. For instance, if a segment of readers is regularly reading EdNC articles about early childhood education, but aren’t signed up for its newsletter, it’ll send them an email encouraging them to sign up for the early childhood education newsletter. Reach NC Voices sends one text message survey question per week to about 4,000 phone numbers. And about 4,000 people get its weekly newsletter, called Reach Roundup. In total, the site says more than 60,000 people have engaged with the site through Reach NC Voices. EdNC sends seven total newsletters.In total, it sends about than 100,000 emails each week and averages about 50,000 unique visitors per month. The Reach NC Voices program and the platform that powers it was developed through a series of grants. Blue Cross Blue Shield of North Carolina supported the project with two initial planning grants totaling $425,000 in late 2016 and early 2017. It then contributed $1 million in fall 2017. The News Integrity Initiative has also supported Reach NC Voices with two grants totaling $255,000. Those grants went to continuing to build out the tools. • Engagement takes different forms: For years now, one of the biggest cliches in journalism has been “You need to reach readers where they are.” While for many newsrooms, this led to a prioritization of Facebook and a pivot to video, EdNC has taken this approach in a different direction to mean that it needs to meet readers to facilitate meaningful conversation. That’s why it’s focused on building out coverage on platforms such as text messaging and email newsletters. EdNC has also realized that not every approach works for every community or subject it covers. That’s why it wants to make Reach NC Voices as accessible across various digital platforms — and through in-person gatherings. One of the biggest things that we’ve learned over the past year, which we’ll continue to iterate strategies around, is that habit formation and the channels where we share content can’t be the same old thing. Even though, right now, email is hot and everyone is creating original content newsletters not just aggregating them, it’s totally the right call for us to spend more time reaching into people’s inboxes because it’s a more personal relationship and it gets us off focusing on platforms that may not have the best interests of the media industry at heart. There’s going to be newsletter fatigue, there’s only so many newsletters that any one person can subscribe to. So we need to do newsletters and do them well. Same thing with texting, I think texting has a huge bright future ahead of it. It’s been great for us from a driving conversation standpoint, and one of our goals is to start conversation not just cultivate or curate conversation. That being said, the idea that we could distribute content the same old way on texting and the only thing different being the platform, is not going to work. Those two things are two ways to start, but I’m more and more of the mind that content goes out into the community and actually talking to people. • Don’t be an “ask hole”: It’s not enough to ask for readers to contribute their thoughts. If you’re going to encourage folks to participate, you need to recognize their effort and make sure that they feel heard and understood. “Our friends at Hearken and Groundsource reminded us during a recent convening that engagement efforts must avoid being an ‘askhole.’ Taking people’s feedback and doing nothing with it is a non-starter for engagement efforts — or it should be,” EdNC wrote in its engagement toolkit. Each week in its newsletter, Reach NC Voices highlights some reader answers to surveys to ensure that contributors are recognized. It will also use the newsletter to start the next week’s question in an attempt to habituate readers to participation. • Think beyond traditional journalism roles: I think it’s safe to say that most nonprofit newsrooms do not have a data scientist on staff. EdNC does though and as a result it’s been able to make data and tech a centerpiece of its engagement strategy. Obviously, news organizations have limited budgets but it’s worthwhile to look at how individuals who believe in the mission of journalism but don’t have traditional journalistic backgrounds can contribute. 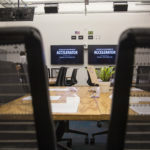 And beyond hiring individuals with diverse backgrounds, news organizations should look to partner with other groups that have similar public interest-focused interests, such as civic tech groups and public libraries. EdNC plans to expand Reach NC Voices. Next week, it’s launching the People’s Session. “It’s meant to be a really interactive polling interface,” Sorrells said. With the North Carolina Legislature slated to begin its next session, participants will be asked to share their opinion about certain legislative priorities, and after answering 10 questions, they’ll be able to submit their own policy proposals. EdNC then says it will share the people’s top priorities with the state Legislature. The People’s Session required a new tech build out, and Hahn said EdNC also plans to keep developing its analytics dashboard. He said it’s only about “60 percent” of the way complete. He wants to spend the next few months making it even more useful for staffers and more deeply integrated with its platform. For example, it plans to integrate Stripe with its tools, which will make it easier for readers to make donations and also enable it to really build out a membership program. 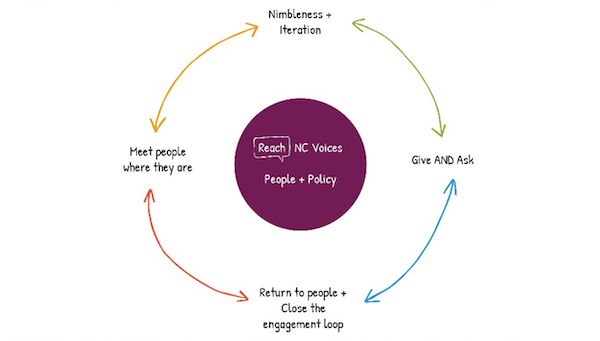 • EdNC developed a playbook that outlines its strategy with Reach NC Voices and engagement more broadly. It’s a must-read if you’re interested in learning more about its approach to conversational journalism. • The loyalty dashboard was created as part of the Table Stakes program, which is based on seven core principles that will help news organizations become digital-first publishers. You can learn more about them here. • This week, the Center for Cooperative Media released the Audience Explorer analytics dashboard for small and medium-size news publishers. This tool, developed by Ned Berke, is a great resource for news orgs without as many resources to track engagement. • Hearken’s Bridget Thoreson tweeted this week that she was starting to look at non-journalism resources on community engagement outside of journalism. I’m eager to see what she learns, but she shared one example from CMX, a site focused on community building, on how to successfully measure community. • Our friends at Nieman asked us to spread the word that applications for the Abrams Nieman Fellowship for Local Investigative Journalism are due February 18. The fellowship offers local journalists the opportunity to spend an academic year at Harvard and develop a reporting project for when they return to their newsroom. Learn more about this opportunity here. A few months ago, I wrote about the challenges of local podcasting and how WBUR and The Boston Globe experimented with a daily sports podcast that ultimately didn’t work. You asked for examples of podcasts, and last spring we launched our not-so-creatively-titled Door County Pulse podcast. We’re a small paper, circulation 14,000, serving a rural tourist community, but I’ve wanted to experiment with podcasts since falling in love with the BS Report over a decade ago. We don’t get a ton of listeners (we’re now reaching 700ish) but we’ve found it provides a lot of value to our readers (lots of comments like, “ahhh, I wondered what the whole story was with X topic”), I often hear from civic leaders and officials who say they listen to it, and I hear from younger adults who would rarely read our print edition that they love the podcast. Will it drive revenue? Maybe a little, especially as we hear from more tourists that they listen to the pod on the drive up from Milwaukee, Chicago, and Madison. 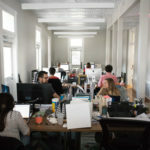 But we’ve already found that it’s improving the civic conversation, it excites our staff, and it has also been a great selling point for attracting new staff who see a podcast studio and video production unit at an independent, rural newspaper. I’m so appreciative that Myles shared how his team is experimenting with podcasts. And I hope others will also share how you’re thinking about similar issues we address here in Solution Set. Thanks, and we’ll see you next Thursday!